When her best friend Meg drinks a bottle of industrial-strength cleaner alone in a motel room, Cody is understandably shocked and devastated. She and Meg shared everything - so how was there no warning? About Ben McAllister, the boy with a guitar and a sneer, who broke Meg’s heart. And about an encrypted computer file that Cody can’t open - until she does, and suddenly everything Cody thought she knew about her best friend’s death gets thrown into question. I’ve only ever read one other novel by Forman before – Just One Day – and I really enjoyed that. I didn’t have any expectations going into I Was Here because it sounded a lot grittier than your typical contemporary, so I was very pleasantly surprised. Following the suicide of her best friend, Meg, Cody realises that something is a little bit suspicious. Meg never showed any outward signs that she was unhappy, but Cody feels guilty for not being there for her friend. Starting to investigate, she realises there was a side to Meg that she knew nothing about. Forman has written an interesting and gripping start, with a distinct character voice. It felt as if I was Cody and experiencing the events through her eyes but with enough detachment to make it an intimate but comfortable reading experience. Cody was such a whole character. By that I mean that we got to see every side of her. Her doubt at times was brilliant to see because it’s not often that we get to see such a mentality in characters. I Was Here isn’t your conventional suicide contemporary novel and that was so, so refreshing. It also didn’t feel as if it was a book just there to fulfil a trend – it was completely genuine. The romance was everything I look for in a brilliant contemporary book. It was slow burning and realistic. I can tell a good romance when I feel like I’m rooting for the characters and that is exactly what happened. I really enjoyed I Was Here and will be seeking out more of Forman’s books that I haven’t yet read very soon. I would recommend it to anyone looking for a good, mysterious contemporary novel that can be read very quickly. It kept me on the edge of my seat and was unputdownable! Ooo sounds interesting! Might have to put on my TBR pile!! Love your reviews. I really like the sound of this one. I’ve not read anything else by this author so I have no expectations either. 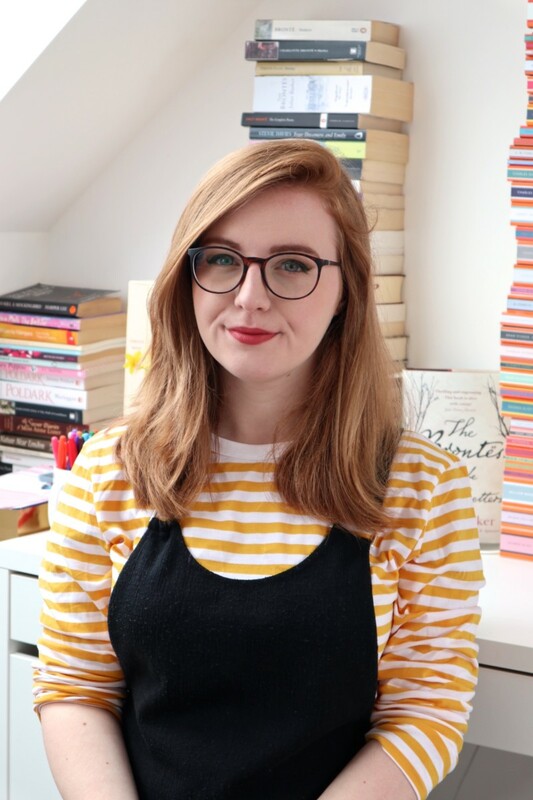 This looks like such a good book – I always find that character voice can make or break a book, I really like to be able to sympathise with the character! I am reading this at the moment, only up to chapter 4 but its great to see such a fab review. Like you, I’ve only read one book by Gayle Forman, Just One Day! I enjoyed that book too, and I’ve heard so many negative reviews for, If I Stay, so I haven’t picked it up. I’m excited to hear that you enjoyed I Was Here, and I’ll definitely pick it up when I see it the book store. Looks interesting! I’ll add it to my TBR pile. So glad you enjoyed this Lucy, loved the review! I can’t wait to read this, as I loved If I Stay & Just One Day earlier this year. Also, everyone has been saying how unique and moving this book is. I’m really looking forward to this so I’m glad you enjoyed it. I don’t know if I’ll manage the wait until release month to dig into it! It’s really worth reading! It was very hard to resist! This sounds really interesting, I’ll have to add it to my ever-growing tbr pile. I have If I Stay on my shelf at the moment and I can’t wait to read it but I feel like it’s going to be one of those books you really need to treasure, take your time over and appreciate. So I’m waiting for a day I’m home alone to read it. Joy @ The Bookshelf Intruder recently posted…I completed my Goodreads Reading Challenge!